If you spend only a weekend in Naples or you have just a few days to visit the city, knowing in advance what you want to see can be a huge help to take advantage of every minute of your time. 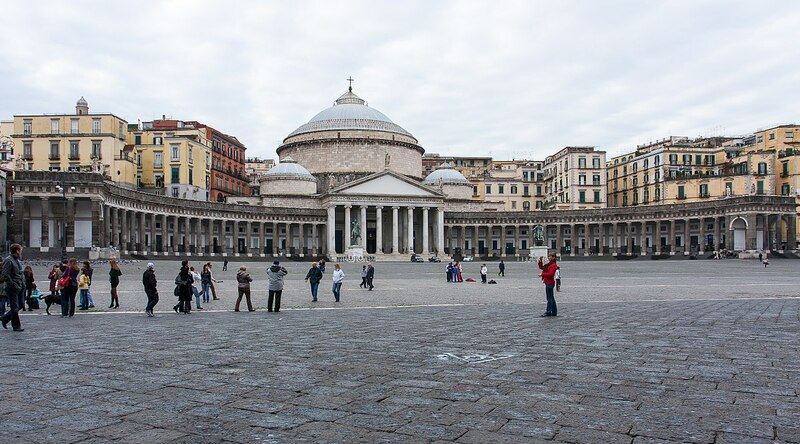 The major attractions and landmarks of Naples are in the historic centre. For this reason, you can consider the street known asSpaccanapoli as a reference from which you can go to visit wonderful churches and important monuments. From Spaccanapoli it is possible to visit the churches of San Domenico, Santa Chiara and the Gesù Nuovo. Plus, in an alley not far from Spaccanapoli you can go to the Sansevero Chapel, where you can see the Veiled Christ: a sculpture in which the body of Christ is covered with a veil which is sculpted too. The legend says that the veil is actually a fabric transformed into rock thanks to a special liquid invented by the alchemist Prince of San Severo. Between the streets that are parallel to Spaccanapoli there is Via Foria, where the Archaeological Museum of Naples is located. Even if you spend just one weekend in Naples, it is one of the most important archaeological museums in the world, known for the quality of what you can see in there: excavations of Pompeii, finds from the Greek-Roman age, Egyptian and Etruscan antiquities. After walking through Spaccapoli, you can continue walking on via Toledo to arrive in Piazza del Plebiscito, one of the symbols and landmarks of the city. Ifyouspend a weekend in Naplesitisimpossiblenot to go there. From piazza del Plebisito you can access the Royal Palace and the church of San Francesco di Paola. Walking on Via Gennaro Serra, from Piazza Plebiscito, you can visit the Galleria Borbonica: it is a complex of underground streets built for different reasons. The Bourbon gallery(i.e. Galleria Borbonica) had to connect the church in Piazza Plebiscito with Palazzo Reale. In the Second World War, Neapolitans went underground to save themselves from bombings. If you spend only just one weekend in Naples do not miss one of the main attractions of the city: the metro stations of Naples. BookingNaplesoffers a free guide to the Naples Metro art stations with everything you must know to see the works of artists and architects at the main stops of line 1.